Wentworth Woodhouse in Rotherham has been added to the 2016 World Monuments Watch, raising the profile of its current state as well as hopes that it can be conserved for current and future generations. The largest privately-owned house in Europe officially went on the market with Savills plc earlier this year with an asking price of in excess of £8m. The Newbold family confirmed that they had decided to sell the historic Grade I listed mansion house at the end of last year. By agreement with the family, the newly formed Wentworth Woodhouse Preservation Trust (WWPT) began fundraising, raising pledges of £3.4m and preparing detailed plans for the future of the property. The trust aims to acquire the property if it can raise £7m. A further £42m needs to be spent on the fabric of the house over the next twelve to fifteen years to meet the backlog of repairs and subsidence damage. Save Britain's Heritage (SAVE), which campaigns for threatened historic buildings in Britain, has been working on the plans with leading country house experts and entrepreneurs that would see the preservation of the house and grounds on a long term basis and sustainable, sympathetic uses investigated for those parts of the property not open to the public. The important property, described as "one of the finest and grandest Georgian houses in England," has now been added to the 2016 World Monuments Watch which calls international attention to cultural heritage under threat around the globe. The World Monuments Fund (WMF) is the leading non-governmental organisation for the protection of cultural heritage. WMF Britain is the largest affiliate office outside WMF's headquarters in New York. Launched in 1995, nominations to the World Monuments Watch are all judged on the significance of the site, the urgency of its threat and the viability of a solution. Wentworth Woodhouse is one of 50 sites in 36 countries given prominence in the list. Sites date from prehistory to the twentieth century and include an entire country's cultural heritage sites destroyed by a devastating earthquake (Nepal); the remains of a medieval Swahili town at risk from the effects of a harsh climate and looters (Kua Ruins, Tanzania); a beloved coastal promenade in Beirut that is the latest victim of a development frenzy that has destroyed many of the city's open spaces (Dalieh of Raouche, Lebanon); and the near-forgotten remains of World War II concentration camps in Italy. Each site is under threat and facing an uncertain future and the Watch is a call to action that brings the fragility of these sites and the dangers they face to international attention. It also identifies opportunities for local communities to work together with conservation agencies, governments, corporate sponsors, and others to help ensure each site's future. John Darlington, executive director of World Monuments Fund Britain, said: "Wentworth Woodhouse is an extraordinary building. 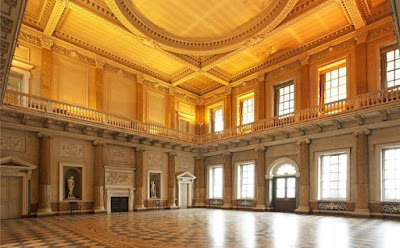 Its enormous scale is matched by the historic importance of its interiors – representing a roll-call of great British craftsmen – and by the intriguing stories of politics, industry and social change that reverberate within. 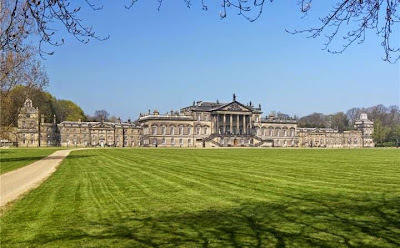 In selecting Wentworth Woodhouse to be one of only 50 sites across the globe for the 2016 Watch, we at World Monuments Fund want to highlight the place, the people connected to it and the value of conserving it for current and future generations." Come on people help save this wonderful House. Go visit Wentworth, take a stroll down to this beautiful house and Village in South Yorkshire England.